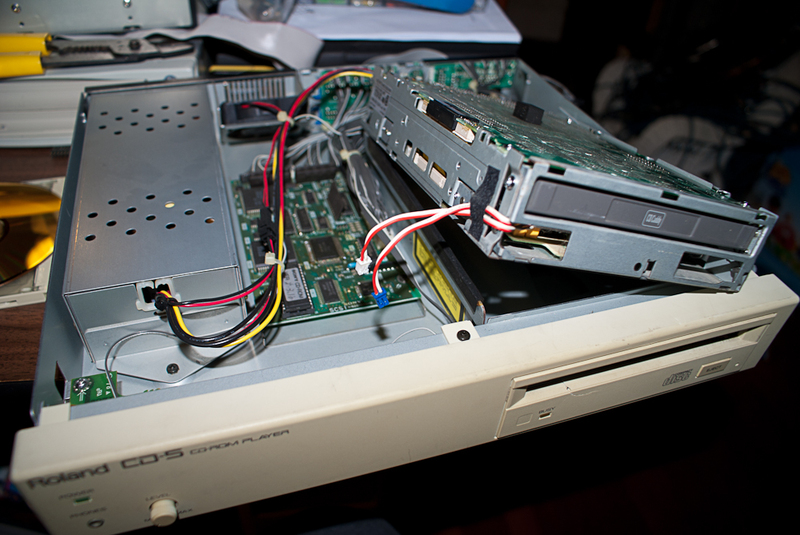 I purchase a Roland S-550 with a SCSI interface in 2011. It came with a Roland CD-5 CD-ROM. 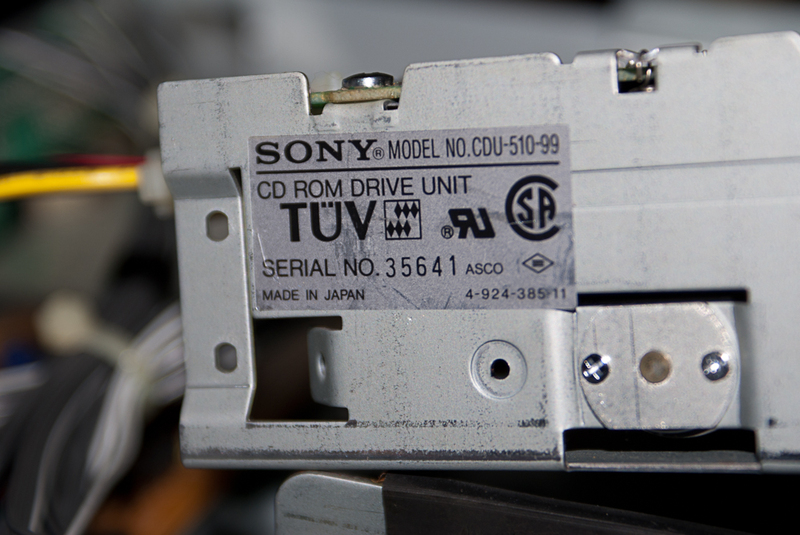 Unfortunately, the CD-5 did not travel across the country too well – the mechanism that holds the CD caddy got out of alignment. 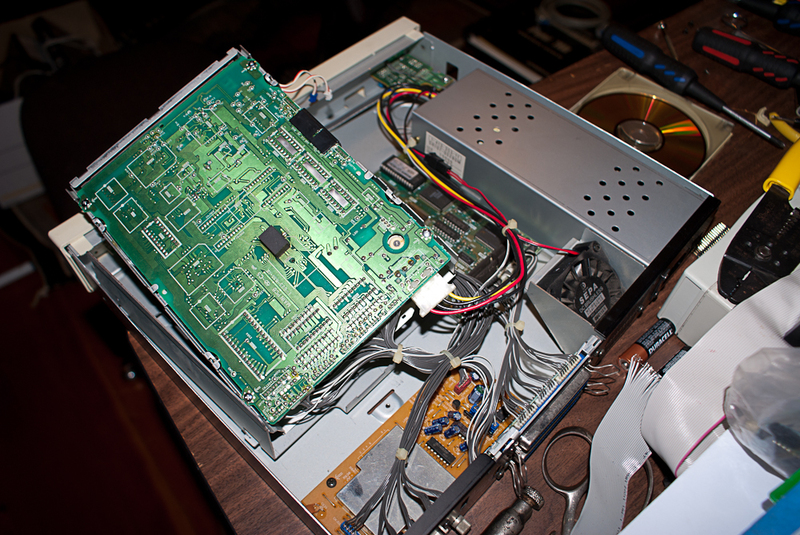 Here’s some photos of the inside of it as I did exploratory surgery on it.